Assistant Principal Viola ELZBIETA WEYMAN joined the New Jersey Symphony Orchestra in 2013. 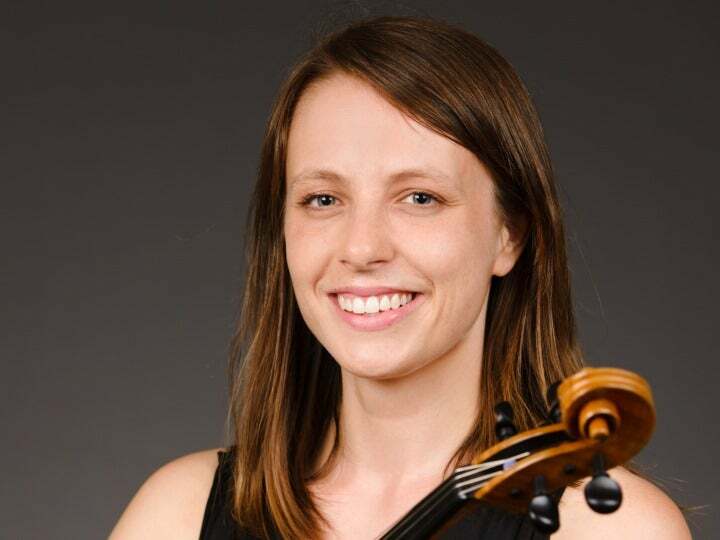 A native of Newton, MA, Weyman began studying violin at age 4 and switched to viola at 13, studying with Boston Symphony member Michael Zaretsky. She continued her musical education at The Juilliard School, where she studied with Masao Kawasaki and Michael Tree. 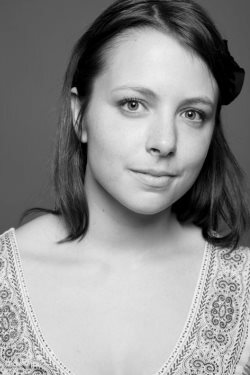 Weyman was a member of the New World Symphony, an orchestral training program for postgraduate musicians, from 2011–13. Weyman has made several solo and chamber music appearances. She performed Walton’s Viola Concerto at the Aspen Music Festival under the baton of Leonard Slatkin in 2007 and Mozart’s Sinfonia Concertante with the Juilliard Orchestra with conductor Xian Zhang in 2010. In addition to the Aspen Music Festival, she has participated in many summer festivals, including La Jolla Summerfest, Saito-Kinen Music Festival and, most recently, the Verbier Festival Orchestra. In her spare time, Weyman enjoys running, yoga and eating delicious things. PRACTICE ROUTINE: I warm up exactly the same way every single morning. I start by playing C- and D-major scales, arpeggios and thirds to warm up my fingers and then play the Allemande from Bach’s Cello Suite No. 6 to warm up my ears and my heart. I look forward to playing it every morning—it’s nice to start out with something you know and love. ADVICE FOR YOUNG MUSICIANS: Spend at least half an hour day playing just for the sake of enjoying yourself. It’s easy to get discouraged when practicing because you are always looking for problems to fix, but it’s important to learn how to let go and have fun too! WHY MUSIC MATTERS: I think people are always looking for a feeling of connection. Live music offers just that—connection to the performer, connection to the composer and connection to the culture and traditions from which the music came. INSPIRED BY: My teachers, students and colleagues! BEST CONCERT YOU EVER WENT TO: I heard the Quatuor Ebène play a wonderful recital in Verbier this past summer. They started with one of the Mozart Divertimenti for string quartet, a piece that I’ve played at many a background/wedding gig. They managed to take what I considered to be a tired old standard and make it into something really special! Sometimes we struggle playing the same pieces over and over, as wonderful as they may be. It was refreshing to hear a group play something like that as if for the first time. The Bartók Fourth String Quartet and Schubert String Quintet that followed were just as inspiring! FAVORITE THING TO DO ON AN OFF DAY: Go for a long run and then eat a ridiculous amount of pancakes at the Brownstone Diner and Pancake factory in Jersey City. FAVORITE DAY OF THE YEAR: The days after Halloween, Easter and Valentine’s Day. So much candy on sale at the drugstore! GUILTY PLEASURE: Reese’s Peanut Butter Cups. IF I WASN’T A MUSICIAN I’D BE: An archeologist. FAVORITE COUNTRY: Switzerland. The mountains there are unreal!